When training fails, it is usually because of poor planning or because the necessary conditions for success have not been secured . A large percentage of skills training such as sales, customer service, or management training fails to produce results. And it’s not because the participants were stupid, lazy, or unmotivated or that the material was irrelevant or not well presented. When training fails, it is usually because of poor planning or because managers have not secured the necessary conditions for success. Let’s explore the reasons. Training in isolation usually fails. Many companies invest in training with the expectation that exposing someone to training should itself create changes in behaviour and produce results. They usually are disappointed. Why? Behaviour is shaped largely by company expectation, accountability, and reward systems. Training may show people how to perform a skill, but people will only apply the training if they see that it is in their best interest to do so and have support to put it in place. If there are no systems to implement the training and no accountability to see that the training is applied, then only a minority of those trained will fully integrate it. Inappropriate structures for learning and application. 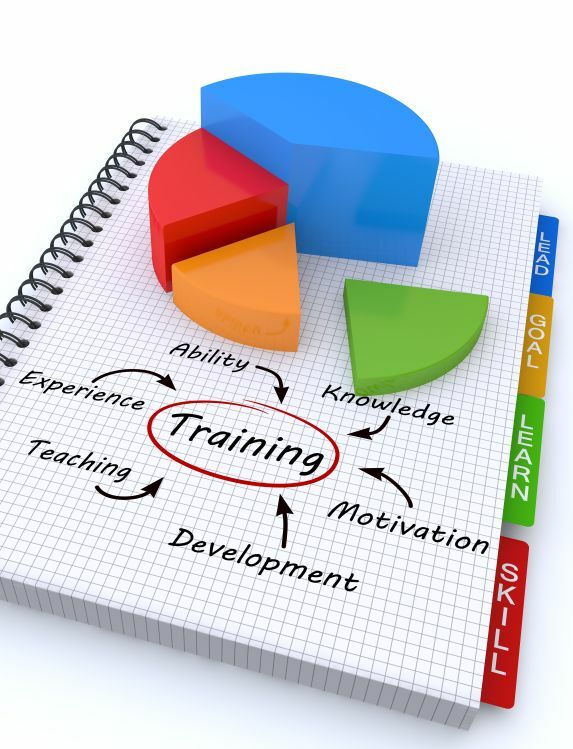 A very high percentage of training dollars are spent on seminars and lectures or multi-day programmes. This may be an efficient way to dispense a large quantity of information to a large number of people in a short period of time. However, people don’t integrate training that is dumped on them in large quantities. They learn in chunks that are small enough to be understood and they integrate that which can be acted on immediately. People don’t make wholesale changes. Training, which is intended to change behaviour, must be structured into bite sizes that can be immediately implemented. Typically, this would limit each training session to 7-14 hours with time between sessions for application and practice. This structure may increase the immediate out-of-pocket cost to deliver a programme, however, your return on the training investment will be substantially higher. Failure to define useful objectives. Managers and business owners typically are much too vague when defining objectives for training programmes. Far too much training is bought because someone “gets sold” on a particular vendor’s programme rather than investing in a process designed to achieve specific results. Research shows that one of the most important factors that determines training effectiveness is the expectation that participants are given by their manager before the training begins. For example, “As a result of this training, we expect you to begin ________ behaviours and achieving ________ result.” Yet far too many participants in training programmes are given no expectations except to show up. Is it any wonder that participants evaluate training based on how well they are entertained? Failure to implement follow-up and appropriate support. When working with either an in-house trainer or outside vendor, it is important to have a follow-up plan in place. This follow-up plan should include such items as how to monitor progress, accountability systems, next steps in the skill building, and how to supervise and support each person as they apply the training. It is often helpful to include follow-up monitoring as part of any training contract. Too many managers have the attitude of “fix those people down there” without a commitment to live by the guidelines they want their people to follow. This is most vividly seen in companies prodding their employees to go the extra mile for external customers while the company does very little to assure the right climate for employees inside the company.